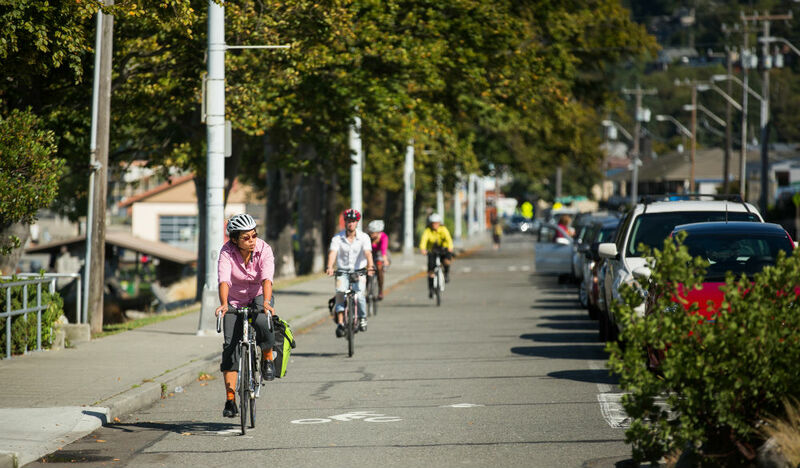 This Tuesday, April 2nd, SDOT will share the newest Bike Master Plan (BMP) Implementation Plan at City Council. It's an important plan: showing where the city will build bikeways over the next several years. With delays, cancellations, and slow rolling on bikeways being a trend over the past year, the time is now to say we can't wait for all ages and abilities bikeways across the city to make our streets safer and more inclusive. Here's where you come in: together we can send a resounding message that safe places to bike are essential to helping people get around safely, affordably, and healthily. Join us on April 2 to tell City Council and the Mayor: slow rolling on safe places to bike isn't an option. When: Tuesday, April 2nd, from 2:00 p.m. to 3:30 pm.